New Delhi: India’s antitrust regulator is investigating the possibility of cartelization in the tyre industry based on a report submitted by its director general earlier this year. Although the director general has concluded that five leading Indian tyre makers, which control 95% of the market, and the Automotive Tyre Manufacturers’ Association (Atma), a lobby group, colluded to fix prices, Competition Commission of India (CCI) members are giving the case a closer look and plan to hear it in December, according to a CCI official. “The intent and conduct of Atma as noted from the minutes and circulars clearly reflect that the major domestic tyre companies acted in a concerted manner and meeting of the minds has taken place with regard to various issues related and common to the tyre industry," said the director general’s report, a copy of which has been reviewed by Mint. The case came to CCI from the erstwhile competition regulator, the Monopolies and Restrictive Trade Practices Commission (MRTPC) in 2010. MRTPC, which did not have the power to impose penalties and order prosecution, was wound up last year and its cases were transferred to CCI. The period under investigation is 2005-2010. “We are looking at the case and have asked leading tyre manufacturers some questions," said a senior CCI official, who declined to be identified. “Worldwide, it takes long to arrive at a conclusion as cartelization is quite difficult to prove." Rajiv Budhraja, director general of Atma, declined to comment on the report as it is still being debated. “All I can say is that the hearing is still going on and the case has been challenged by the tyre companies," Budhraja said. He, however, said there is no data to support the theory that these companies formed a cartel to scuttle imports as alleged by the director general in his report. “Import data does not substantiate that," Budhraja said. “Imports have only gone up." The report said the concerted and anti-competitive behaviour of local tyre makers was also reflected in their action “wherein they have gone to the extent of collectively blacklisting the importers". 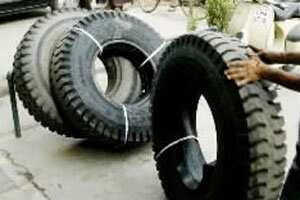 JK Tyre, MRF and Birla Tyres did not respond to emails sent on Friday. Arnab Banerjee, vice-president (sales and marketing) at Ceat, said, “I would not like to comment at this point of time." A spokesperson for Apollo Tyres said the company will let Atma comment on the matter. K.K. Sharma, a former CCI director general now on a sabbatical, said the limited number of manufacturers and the lack of transparency in pricing are likely to promote cartelization. “However, in absence of a correlation between the market dynamics (in terms of price and supply movement) and cartelization conduct, which essentially includes the indication of intent, no allegation can survive in Indian jurisprudence," said Sharma. “Therefore, it would essentially depend upon the report of the director general as to what is the nature of evidence marshalled to support the allegation. Or else, it would remain what it is—just an allegation." He said allegations of cartelization are nothing new to the industry and that complaints came to CCI even before the enforcement of section 3. The director general report said MRTPC passed its first “cease and desist" order against tyre manufacturers in 1974. “CCI should investigate only companies that were producing tyres in the period of investigation (2005-2010). In the process of its investigation, CCI sent notices to not only the companies named in the director general’s report, but also to six other companies," said M.M. Sharma, head of competition law and policy at Vaish Associates Advocates, a law firm. “We represented Modi Tyres Co. Ltd, which was not in business between 2005-10. Later CCI agreed to not to include it."